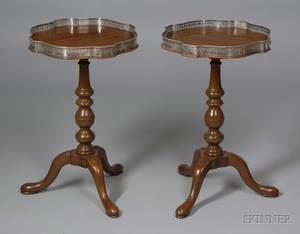 Thirty Colorless Glass Tableware Items. 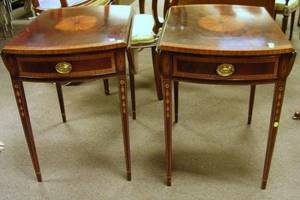 Pair of Mid-20th C. French style three drawer chair-side standswith brass galleried marble tops, mixed wood inlay to drawer fronts and sides on four shaped legs. 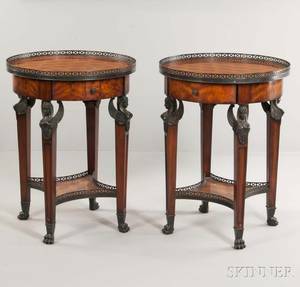 31"H x 10"W x 9.75"D.
Pair of Custom Louis XV Style Boulle Stands. 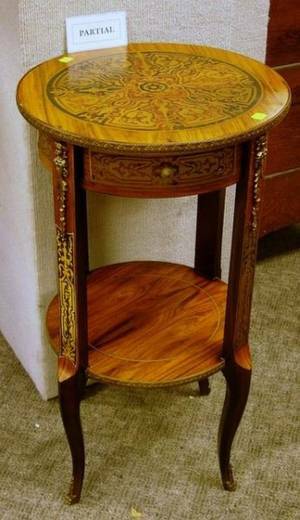 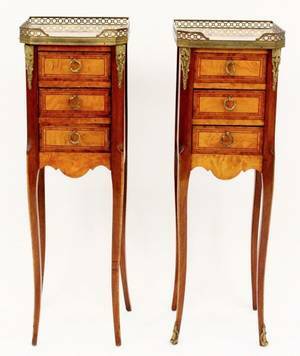 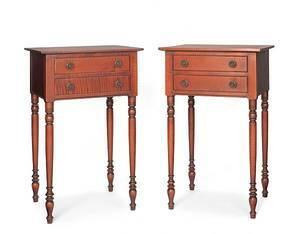 Pair of Councill Craftsmen Georgian-style Inlaid Mahogany Veneer One-Drawer Stands. 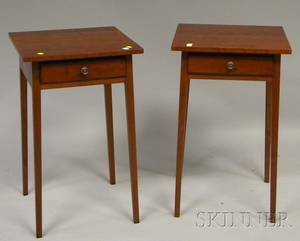 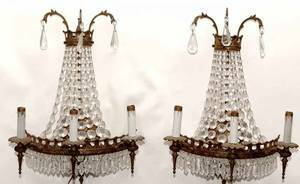 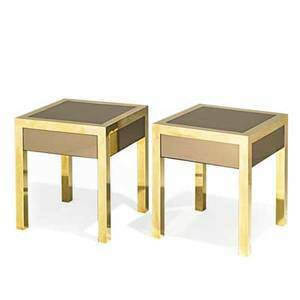 FRENCH STYLE BRONZE STANDS, PAIR, H 4 1/2"
French; pair of single-drawer nightstands, france, 1960s; polished brass, tinted mirrored glass; unmarked; 20" x 17 3/4" x 17 3/4"